Welcome to a newer in muscle-building supplementation with ΒΕΕF UP PROTEIN the unique formula which combines the superior muscle protein source of beef with the highest biological value of whey! BEEF UP PROTEIN is even more concentrated in muscle building amino acids and contains less than 1g of sugar and saturated fat. It's ideal for those who want to build muscle and increase strength. 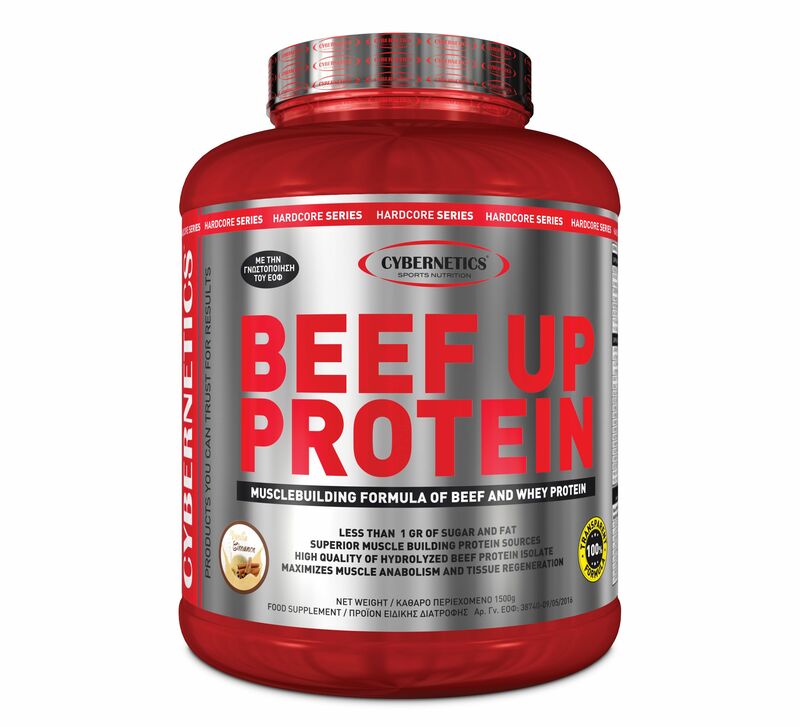 With BEEF UP PROTEIN you get the muscle-building support of beef and the fast speed of whey without the lactose and the problems that are frequently associated with the use of dairy products. If you are serious about making lean muscle gains , start supplementing with BEEF UP PROTEIN and watch yourself pack on quality muscle, with no fat and with a protein that tastes amazing!